Get ready for a night full of thrills, laughs, and fun whenever you visit the Alabama Theatre located at Barefoot Landing, where you can watch one of the Alabama Theatre’s acclaimed live shows or a national touring act. The Alabama Theatre features their acclaimed ONE: The Show, a popular theatrical display among locals and visitors alike, featuring laugh-out-loud fun, thrilling dance numbers and amazing production numbers and visual elements. And if you’re visiting the beach for the holidays, don’t miss their popular The South’s Grandest Christmas Show which brings a fantastic combination of Christmas spirit and talented performers. Tickets for individual concerts vary. 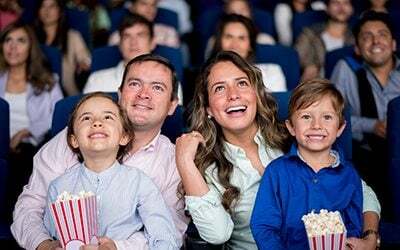 Tickets for ONE: The Show start at $35.95 for adults and kids are free. Call (843) 272-1111 for more information.